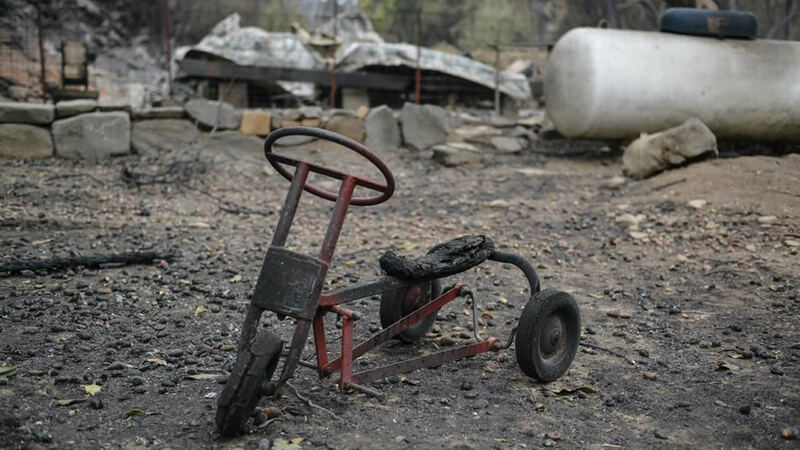 A baby girl owes her life to a California Department of Fish & Wildlife warden who drove through the flames of the Valley Fire to rescue her and her grandmother. 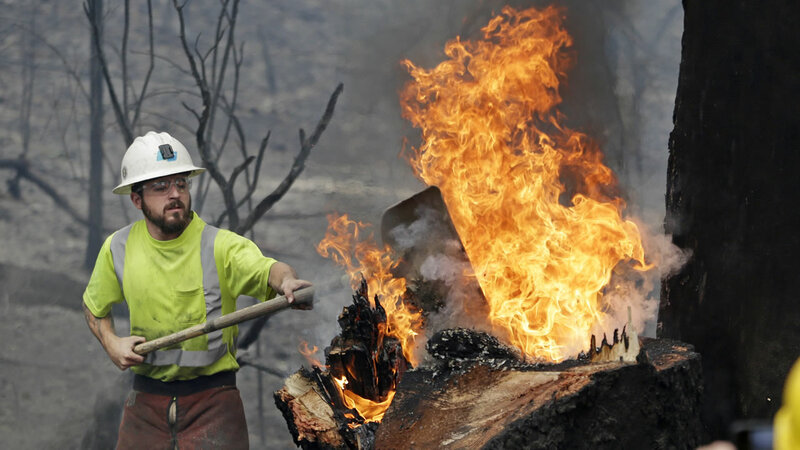 COBB, Calif. (KGO) -- A baby girl owes her life to a California Department of Fish & Wildlife warden who drove through the flames of the Valley Fire. When the fire started eight days ago, 11-month-old Jessie Wood and her grandmother were trapped in Cobb Mountain. Her parents weren't allowed to drive to get them because of the intense flames. Warden Tim Little raced through the raging fire to rescue them, later snapping a photo to show that the baby was OK.
"I just want to say thank you very much. If it wasn't for you, my family probably wouldn't have made it down in time," father Nathan Wood said. "Thank you. If it wasn't for him, I wouldn't have my daughter or my mom. Just huge thank yous," mother Angel Wood said. Their home burned to the ground but the Woods say they are just grateful for Warden Little and that they all survived.